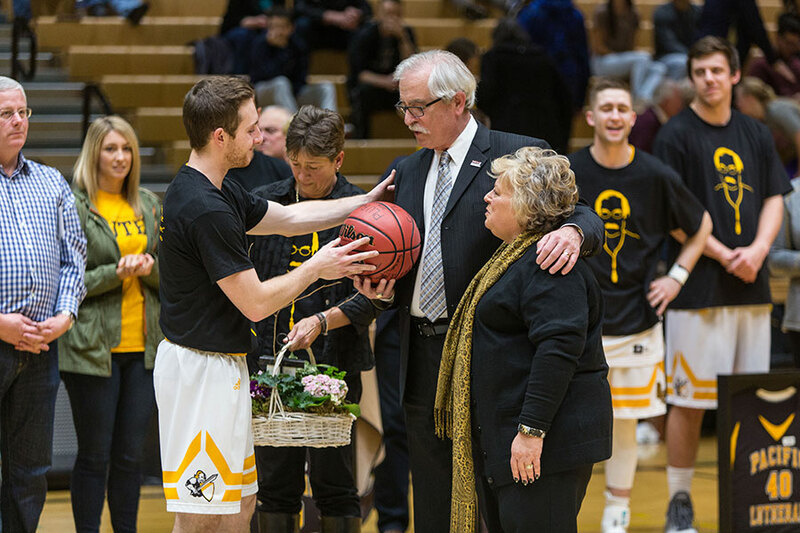 Emotions ran high for senior Brandon Lester in his final basketball game at Pacific Lutheran University. Lester and his teammates fought hard through a lingering double-digit deficit against Linfield College. 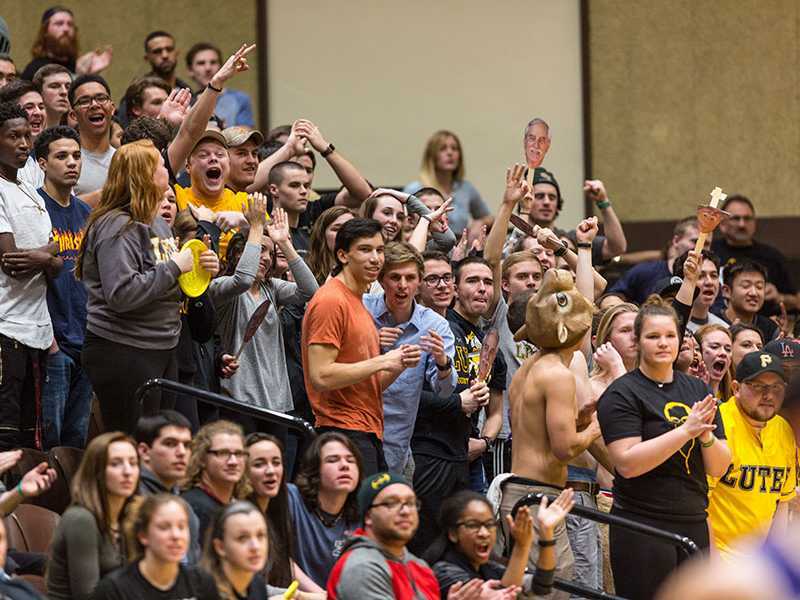 The Lutes never took the lead that night, and eventually fell to the Wildcats 80-72. 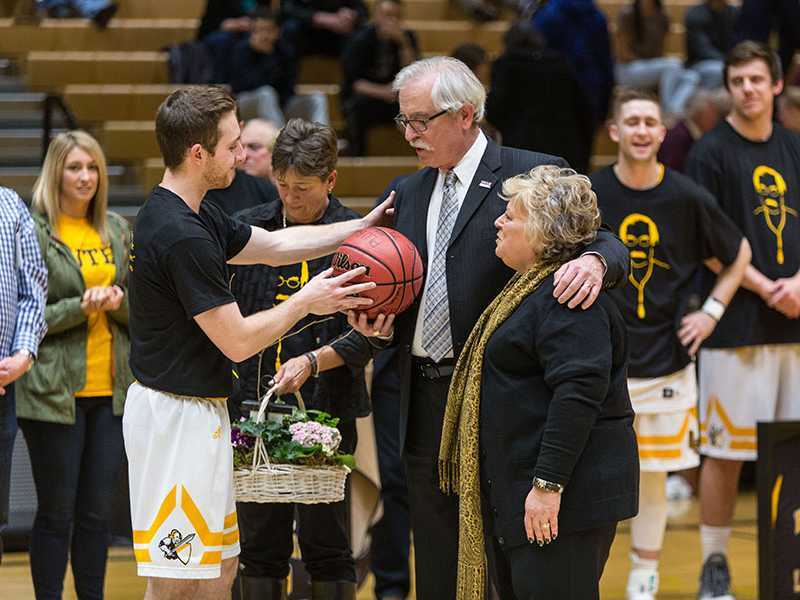 But, despite the score and the frustrations that accompanied it, Lester proved to be the kind of player head coach Steve Dickerson expects first and foremost, basketball game or not. When an opposing player took a hard fall late in the second half, Lester offered a hand up without hesitation. 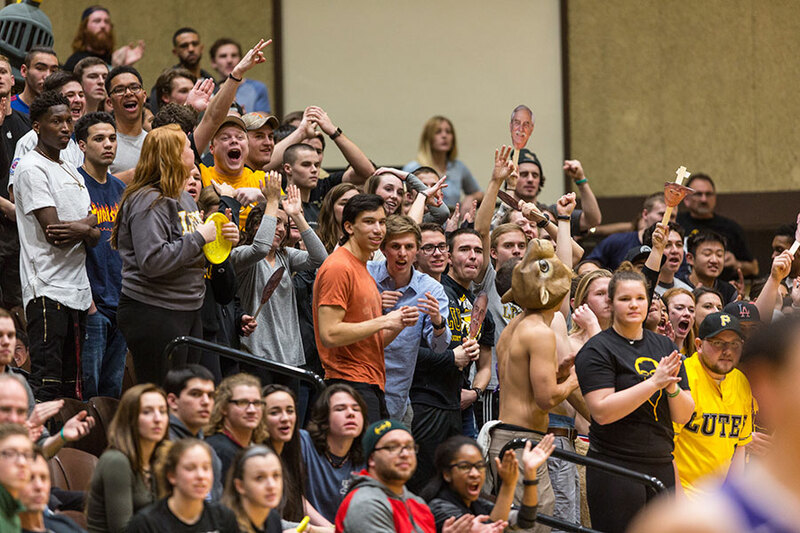 That’s the culture Dickerson has built at PLU. 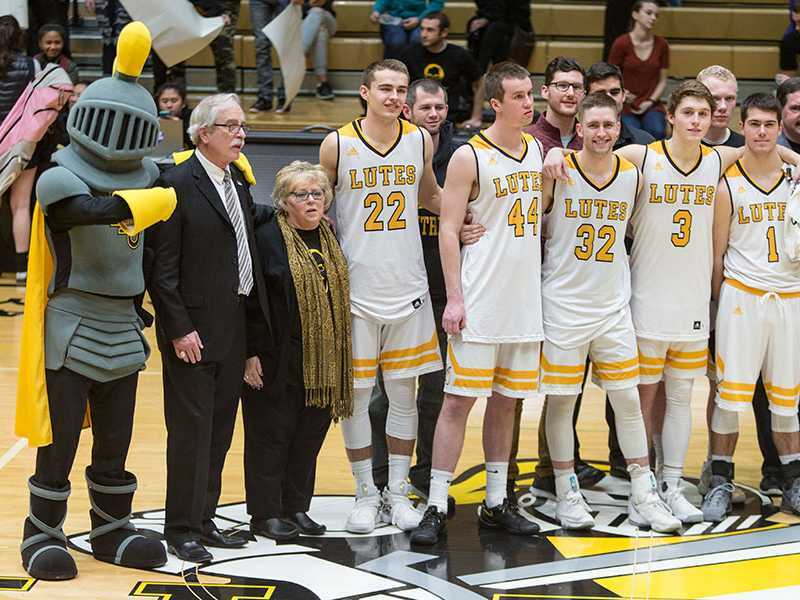 Lester’s basketball career might be over, but the positive lessons he learned on the team have “prepared me for the rest of my life,” he said. 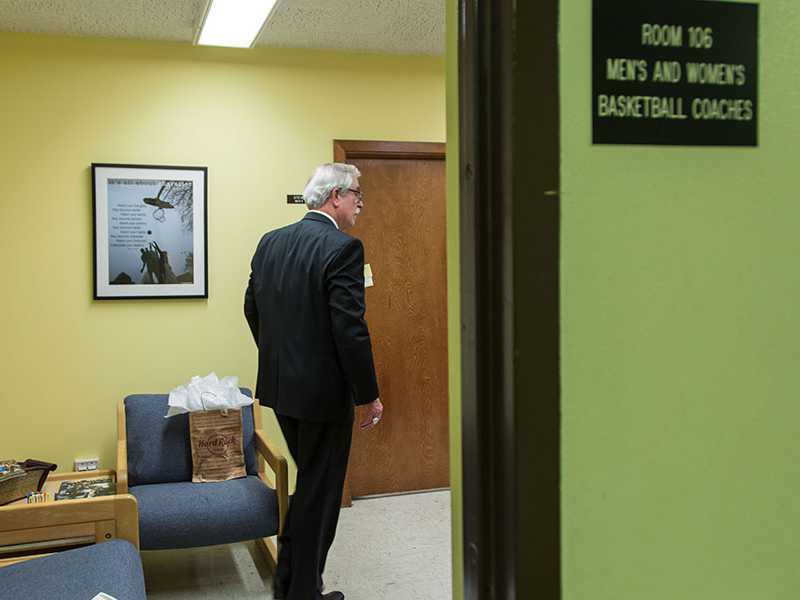 Learn more about the program Dickerson has helped build for the past 14 years. So, Dickerson, who retires in May after a 46-year coaching career, didn’t talk much about the scoreboard when he sat in his office the following Monday reflecting on his final game. 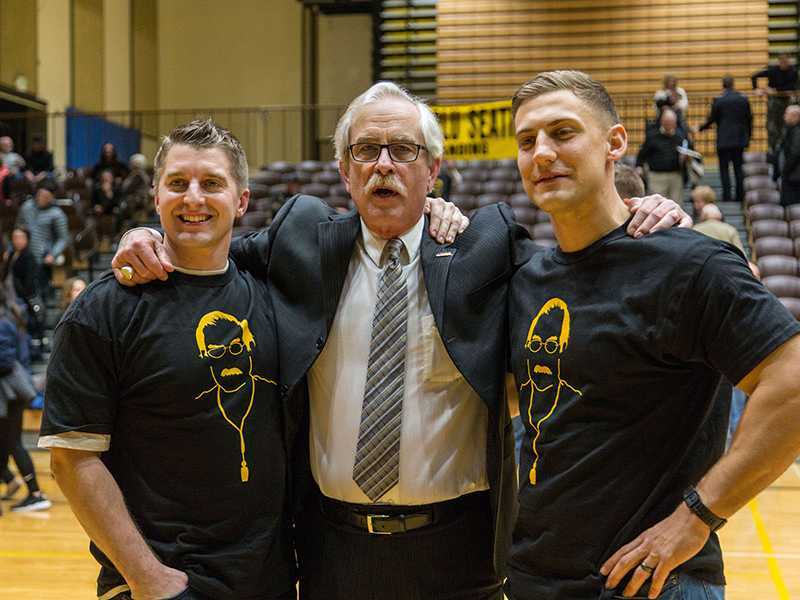 Dickerson hopes that message — one he’s worked to build for 14 years at PLU — continues after he’s gone. 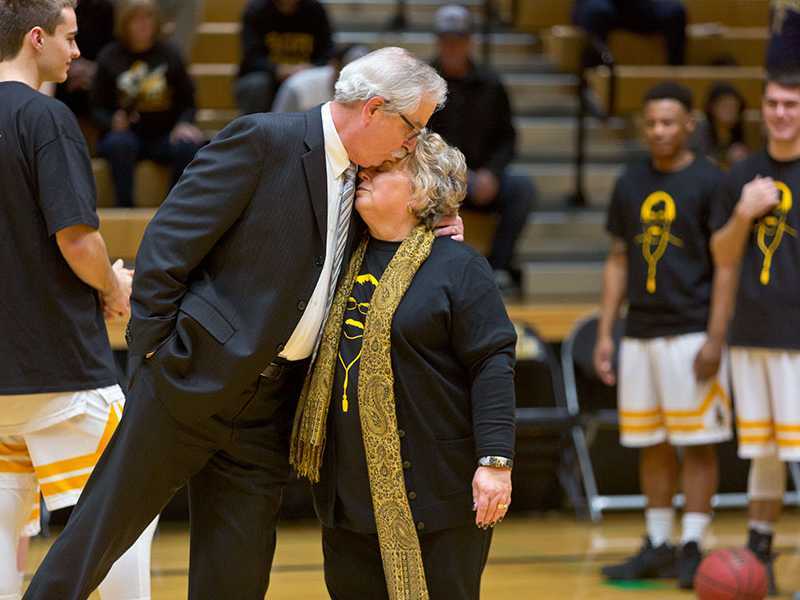 He started as an assistant, coaching alongside his former college roommate. 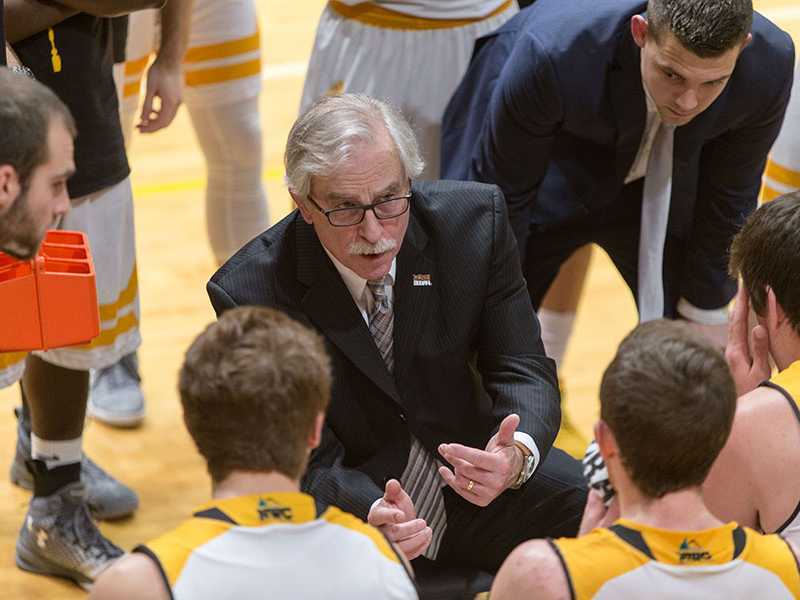 He came to PLU after retiring from public-school coaching in Ohio — a run that included facing a young LeBron James, before the NBA megastar was drafted. “I wanted to keep my toe in coaching,” he said. 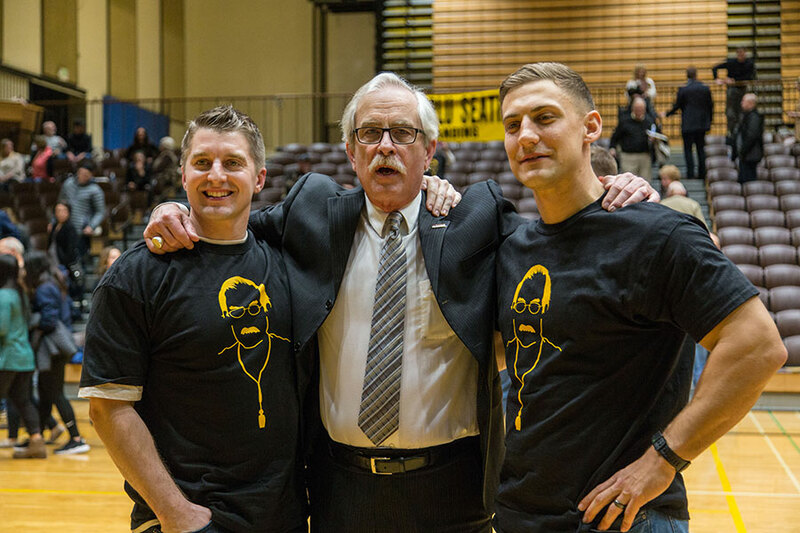 Dickerson took over the top job at PLU three years later, “the last man standing” out of 100 applications, he said. “I’ve grown a lot as a coach and as a person being here,” he said. 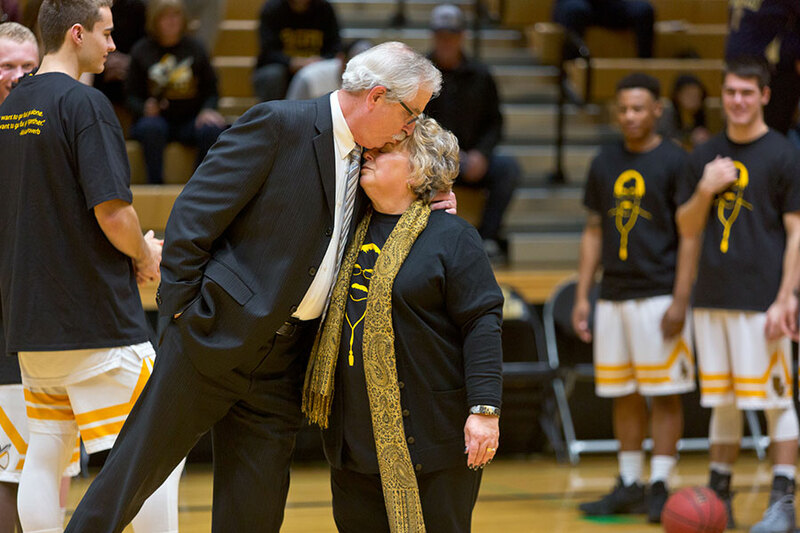 That family mentality trickles down to the basketball team in transparent ways. Basketball players talk about their coach like he’s a father figure. Read more about Chad Murray, the man hired to replace Dickerson. “He’s been supportive of me both on and off the court,” said junior Dylan Foreman, who says Dickerson helped him build confidence. “He’s really kind of helped shape my life,” said sophomore Zac Webb. 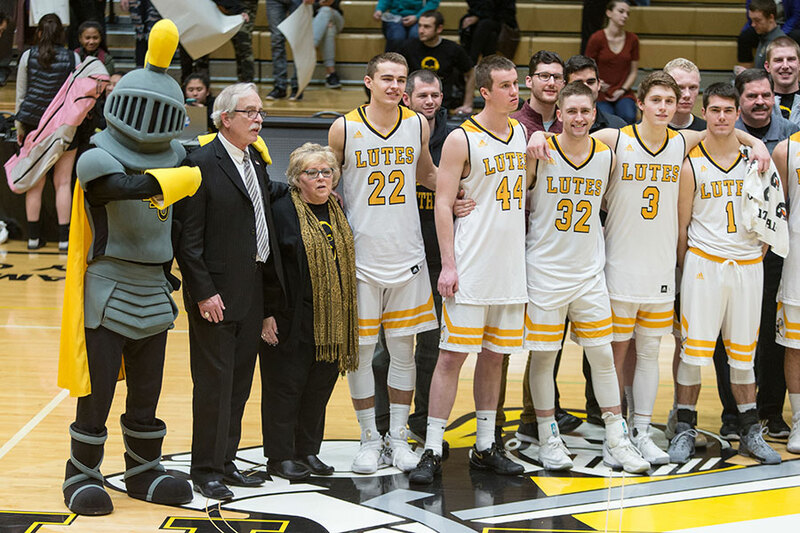 And senior Erik Swartout says Dickerson’s team-first mentality has been ever-present throughout his five years as a student athlete at PLU. 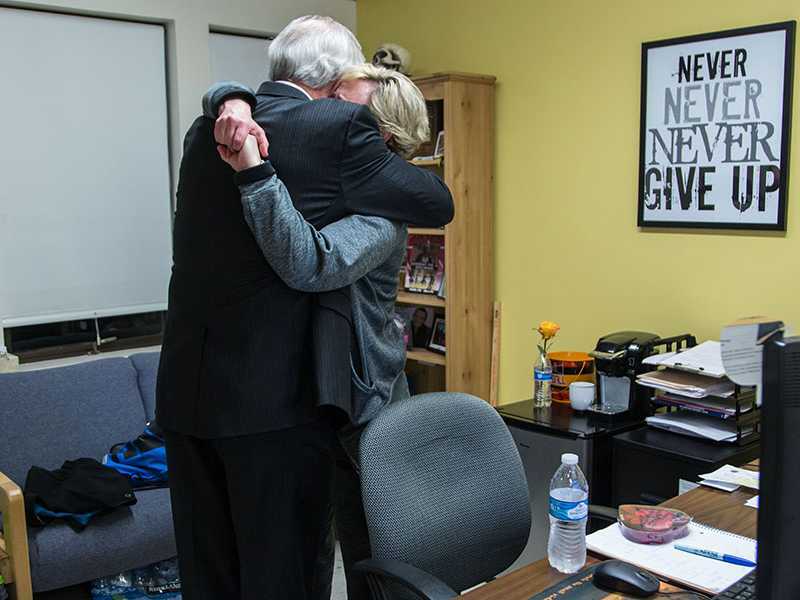 “He’s made a tremendous impact on me,” Swartout said. 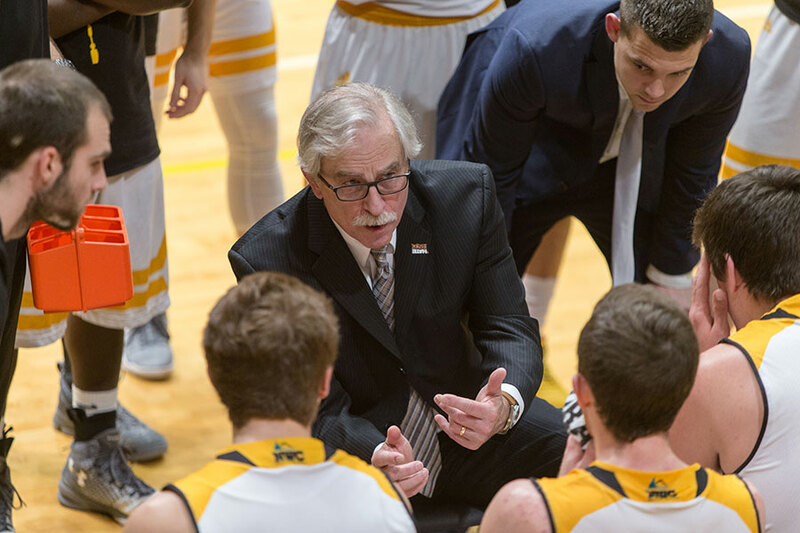 One way Dickerson has taken his mentorship beyond the paint is through Real Life Wednesday, a program that brings professionals to campus to talk with his team about vocation and keys to success after graduation. Dickerson acknowledges it’s not original (coaches at Ohio State and the University of Washington, to name a couple, have similar programs). 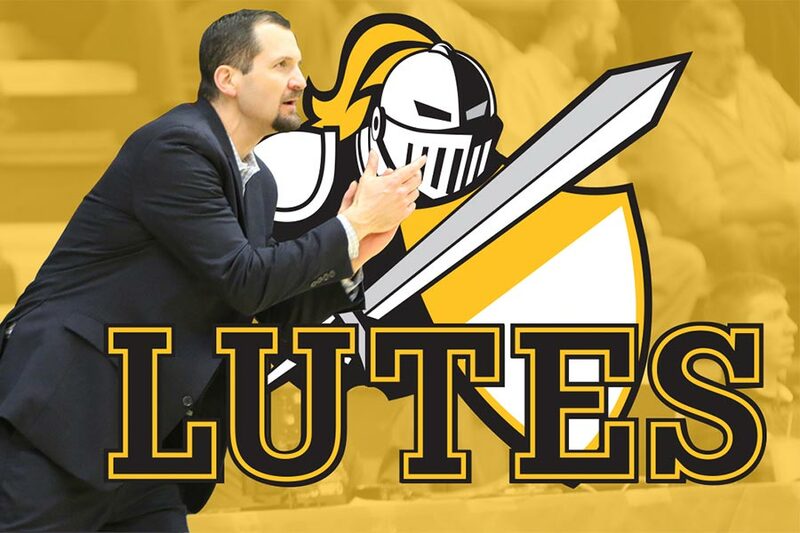 But the focus is to give his players a glimpse into the lives of professionals who practice what PLU preaches. 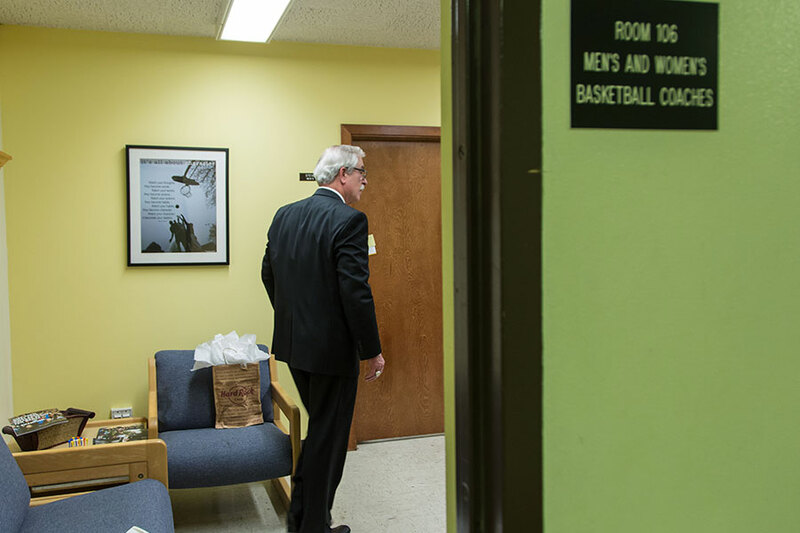 “The key is to bring in successful people and reinforce what we do,” Dickerson said. And it works. He said the players learn valuable skills and build meaningful relationships through those networking opportunities. Dickerson proudly touts the near-perfect graduation rate and post-graduate success of his former players. Despite their success after moving on from college, Dickerson says many of them stay in touch. He attends alumni weddings and sends hand-written letters to acknowledge their major milestones. So, Dickerson is mostly leaving on his own terms. A celebration May 6 at the Washington State History Museum formally sent him off before his last day on campus May 31 (even though he’s not much for pomp and circumstance).